This is the second section in a series of four training videos by Dr. Wierks detailing the hip arthroscopy recovery process. The goals of phase two build on those of phase one, strengthening the hip girdle and core muscles. Several exercises to help patients achieve these goals are demonstrated below. 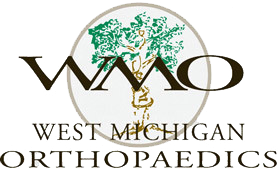 Check back on the West Michigan Orthopaedics blog and social media accounts for more videos and exercises for hip arthroscopy patients.